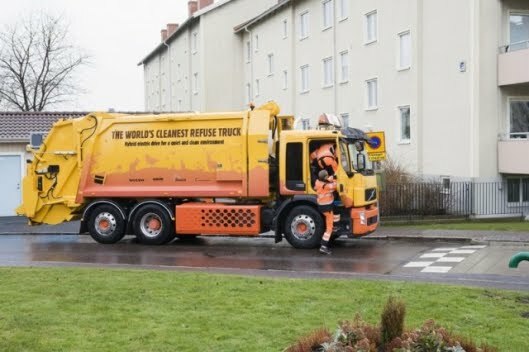 Volvo has announced that Swedish refuse collection firms Renova and Ragn-Sells will begin regular daily testing of two of the company's hybrid refuse trucks ahead of a market launch in 2009. Using a 7 liter diesel engine and an electric motor that utilizes regenerative braking, the trucks are capable of delivery fuel (and therefore emissions) savings of 20 percent.The testing represents the final stage in development the Volvo's hybrid heavy vehicle project. “Since we presented our first concept vehicle in 2006, we have seen considerably heightened market interest in this technology," says Staffan Jufors, president and CEO of the Volvo Truck Corporation. "What makes our solution unique is that it is sufficiently powerful to drive heavy vehicles and more cost-effective than all other current alternatives. It is these characteristics that determine whether a hybrid can be commercially viable. 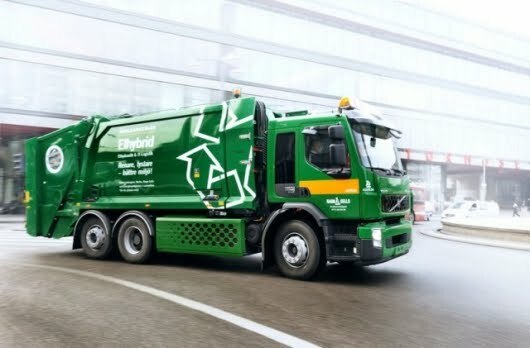 We will start producing hybrid trucks in 2009.”The trucks utilize their electric motor for acceleration from 0 - 20 km/h with the diesel engine automatically switching off when the vehicle is at rest, saving energy and reducing noise (an important consideration for those of us who find it impossible to sleep through early morning collections). The further energy saved by regenerative braking (also an ideal solution for the repeated stops and starts involved in this scenario) is coupled in one of the vehicles with an extra battery pack that drives the refuse compactor. This additional system is charged via the mains electrical system when the truck is parked overnight and has the potential to deliver increase carbon dioxide emissions reduction to as much as 30 percent according to Volvo. Low-speed urban applications are just the beginning, eventually Volvo intends expand its hybrid technology beyond and introduce it throughout the heavy vehicle industry.